2am on Sunday 28th October is a time many parents are dreading especially if their child is already an early riser….a 5.30am start will overnight become a 4.30am start. And equally for parents whose children take a long time to go to sleep, the clock change will play havoc with bedtime. But help is at hand, Mandy Gurney, Founder of Millpond Children’s Sleep Clinic, shares her top tips to minimise the disruption to sleep in your household. 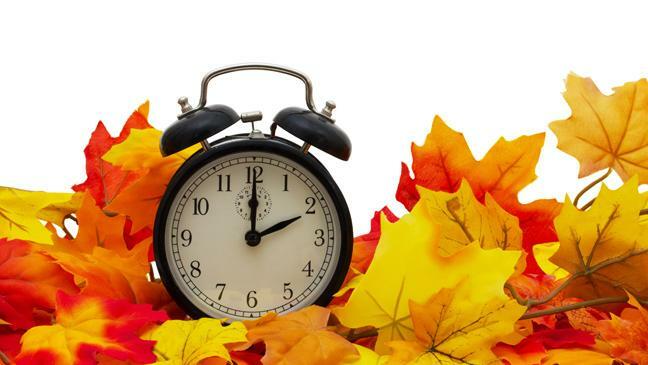 About two weeks before the clock change start putting your child to bed 15 minutes later than usual. After three nights of the new time, shift bedtime by another 15 minutes. Continue repeating this process until the bedtime has moved an hour later. Your child may still wake at the same time in the morning, but by slowly shifting their body clock you will find the morning will soon catch up. Nap, meal and milk times all need to be adjusted too. Light has the biggest influence on our body clocks. Get your child outside in the afternoon light as this will help to keep them up that little bit later at bedtime. An hour before sleep, encourage your child to have a wind down time. Do something relaxing before you start their bedtime routine. However make sure you avoid any screens at this time, research has shown that bright light from these screens can interfere with the production of melatonin the sleep hormone. About 30 minutes before your child goes to bed carry out the same series of steps every night. Have a regular routine that you follow each night and your child’s body will start to prepare for sleep as soon as you start this. Have a warm, relaxing bath lasting no longer than 10 minutes. 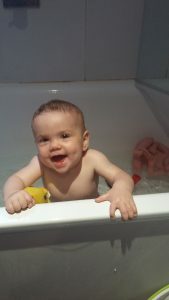 A bath before bed should not be playtime as this could over stimulate your tired child. Go straight into the bedroom and get ready for bed. Dim the lights in the bedroom ready for your return from the bath, as this will help with the production of the sleep hormone melatonin. Read one or two quiet stories or sing a gentle lullaby. Have a cuddle and kiss goodnight and tuck them in with their favourite soft toy. Once they’re drowsy, leave the bedroom so that they learn to fall asleep independently. Your child should be asleep about 15 minutes later. It is best to delay your child’s milk and breakfast by 15 minutes every few days too, so they don’t wake early expecting food. Is it time to get up? To help your child know when they can get up in the morning set up a lamp with a low watt bulb and plug this into a timer switch in their room. Set the light to come on 15 minutes later than they would normally get up. Explain that they must stay in bed until the light comes on in the morning, even if this means you have to stay in the room with them to enable this to happen initially. If your child stays in bed until the light changes give them kisses and cuddles to show how pleased you are. As you shift bedtime later, move the time on the switch later. Don’t be tempted to move any quicker than this as your child may struggle to wait and it won’t work.